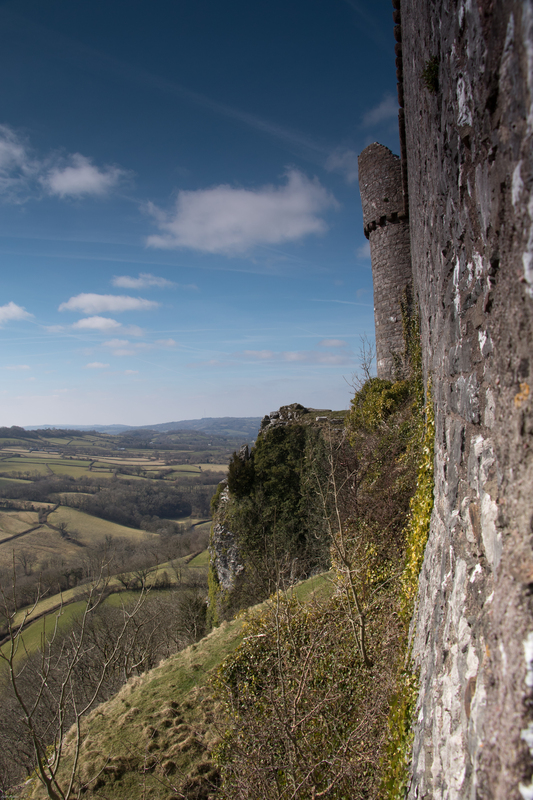 A fantastic day out to Castell Carreg Cennen. We were last here before Number 1 daughter was born, so at least 23/24 years ago. 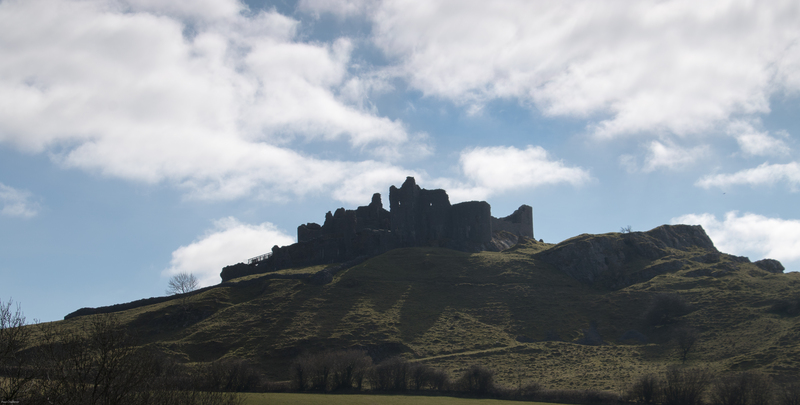 The sun was shining and the castle remains as craggy and remote as ever. We took a slightly circuitous route towards the castle as the satnav was determined to take us down as many single track roads as it could find. As it turned out there was a certain amount of serendipity as we were given some fantastic views as we approached of the castle standing proud high above the surrounding countryside. The view as we approached down narrow lanes. 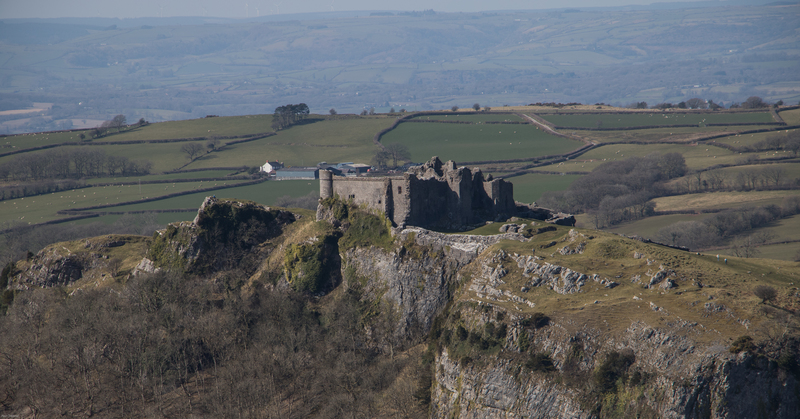 This area has been an important site for thousands of years, Human remains found at the original site of Castell Carreg Cennen date human activity back to prehistoric times. The site may well have also been an Iron Age Hillfort, but little if anything remains from this period because of all the activity on the site since. There is also evidence of Roman occupation when coins from the 1st and 2nd century were found, although it is unlikely the Romans occupied this site on a permanent basis. Getting closer – we stopped so many times to take photographs. The first masonry castle was probably built by the Lord Rhys, who died in 1197, and it remained a possession of the Deheubarth dynasty for the next 50 years. In 1248 Rhys Fechan ap Rhys Mechyll’s mother Matilda de Braose, to spite her son, granted the castle to the Norman English, never a good move, but before the English took possession Rhys captured the castle. View of the Castle from the North. This is the easiest access, but still a bit of a puff to get to the top. For the next 30 years it changed hands frequently between Rhys and his uncle Maredudd who were fighting for control of the Kingdom of Deheubarth. this was always a weakness in the Wales at this time, with the Welsh more often fighting amongst themselves allowing the Norman english to pick off areas of Wales for themselves, spreading their influence and power throughout Wales. In 1277 it was captured by the English, recaptured by the Welsh in 1282 and in English hands again the following year. The steep climb up to the main gate house. Edward I granted the castle to John Giffard in 1283, the commander of the English troops at Cilmeri where Llewelyn ap Gruffydd (The Last) was killed. Giffard was probably responsible for the remodelled castle we see today. The castle remained with the Giffard family until 1322. Thereafter it passed into the hands of various owners, including Hugh Despenser, before becoming the property of John of Gaunt and incorporated into the Duchy of Lancaster. The Duchy passed into the hands of his son, Henry Bolingbroke, who was crowned Henry IV in 1399. Yet this made it a high profile target for the Owain Glyn Dŵr rebellion and was attacked in 1403. Under its Constable, John Skidmore, the castle withstood the initial assault but was besieged and ultimately forced to surrender. Extensive damage was seemingly inflicted in the process as between 1414-21 expensive repairs had to be made to the curtain walls, gatehouse and internal buildings. Looking west along the length of the south wall it is easy to see how difficult it would be to climb the cliffs here. During the Wars of the Roses the castle was held for the Lancastrian cause by Gruffudd ap Nicholas. In 1462 Yorkist forces under Sir Richard Herbet and Sir Robert Vaughan seized the castle and partially demolished it to prevent further use. 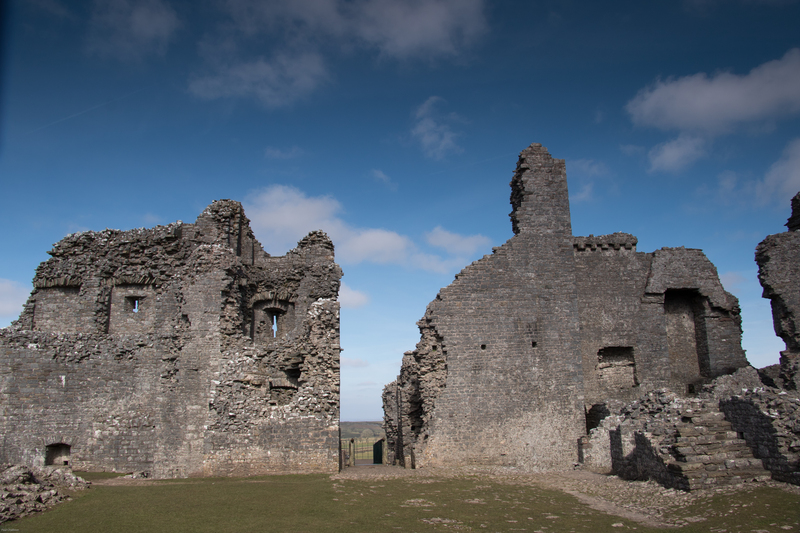 Carreg Cennen was never repaired and became a picturesque ruin. 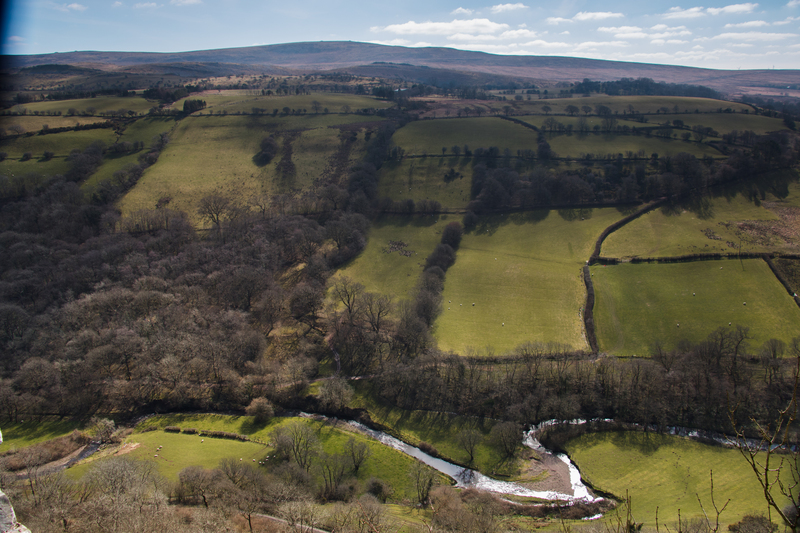 Look south down towards Afon Cennen below and towards the hills behind, Tair Carn Uchaf. 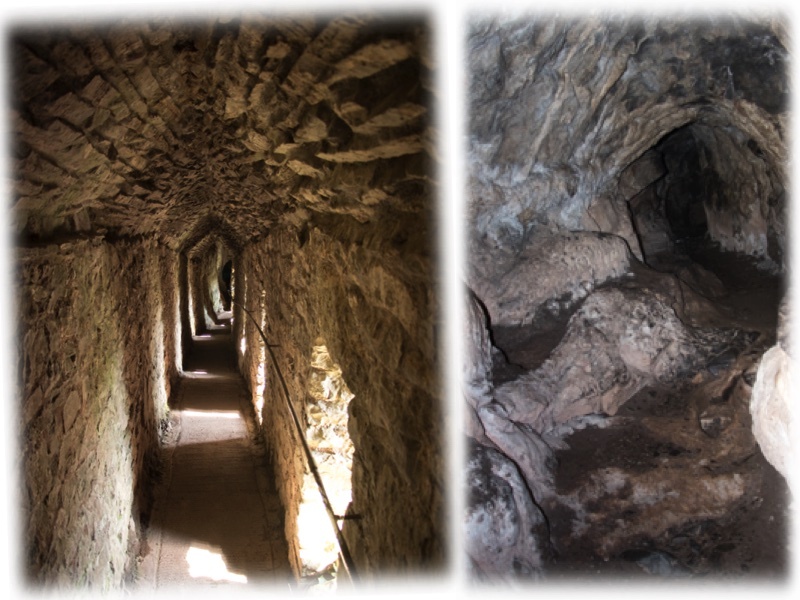 A must when visiting the castle is to go down the wall walk into the cave below the castle. This involves a very steep climb down stone steps. Like any cave it’s dark, damp and exciting. Made all the more so as we didn’t have a torch and used the iPhone to light the way. The cave is a naturally occurring fissure in the limestone, and parts of it has been corbled. Theories abound as to its purpose, from an escape route to a water cistern. None seems to “hold water” and so I suppose it might have been as prosaic as a store-room. The cave is approached along the wall walk, followed by a steep descent into the cave. After a picnic lunch we drove around to the south of the castle and were rewarded by some of the iconic views of the castle from the south. if anything this emphasises how steep the clips are, and how difficult it would have been to attack the castle. Surely a siege was the only way. Either that or turn around and go home. Another view of the castle from the mountain road to the south.